※The Takamatsu Port varies in a high speed boat platform and a ferry platform. Please be careful. ★It is a 1-minute walk from the Tonosho Port Highway boat platform to Asahiya. 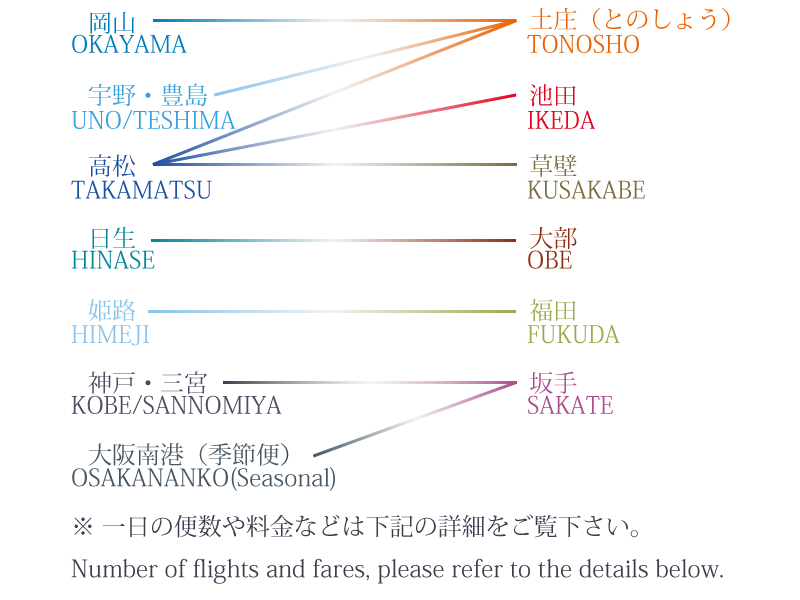 ☆It is a 5-minute walk from the Tonosho Port ferry platform to Asahiya.